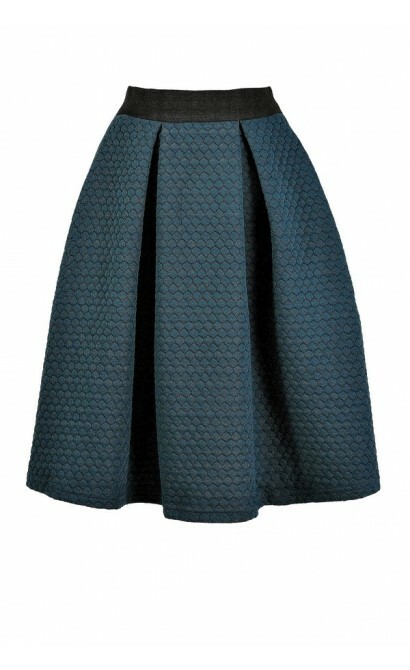 You have added Quilted A-Line Skirt in Teal into shopping cart. FINAL SALE. This adorable quilted skirt is the perfect fall and winter staple to add to your wardrobe. It looks adorable paired with tights or worn without. 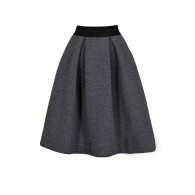 The Quilted A-Line Skirt is made of a substantial heavy quilted fabric we love. 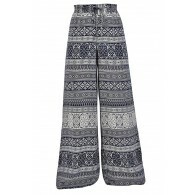 It has a stretchy elasticized waistband and a great A-line cut. A hidden back zipper completes this skirt. 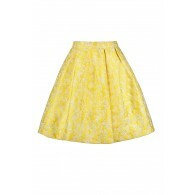 The Quilted A-Line Skirt would look great paired with a fitted black tee or top and pumps or heels. You can also wear it with black tights on cooler evenings. 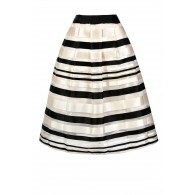 Another great look would be to pair this skirt with a black jacket or blazer--so many different ways to style this! Details: Hidden back zipper. 100% polyester. Hand wash cold water separately. Color will bleed. No bleach. Hang to dry. Small measurements: Length from top of waist to hemline: 23". Waist: 30". 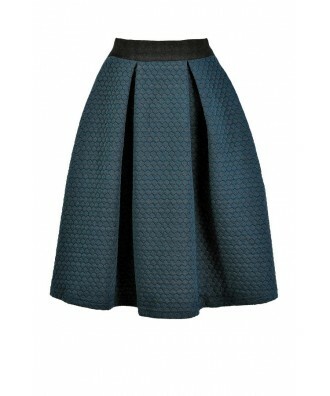 You have added Quilted A-Line Skirt in Teal into Wishlist. 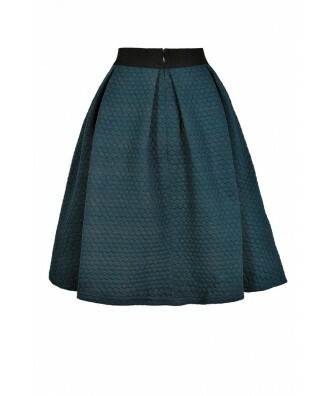 You have added Quilted A-Line Skirt in Teal for Stock Notification. 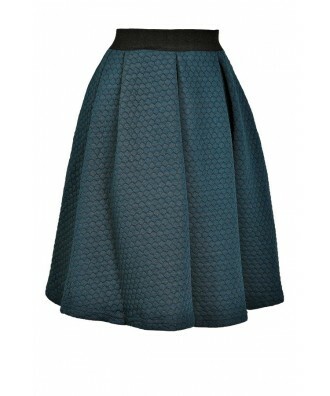 You have set Quilted A-Line Skirt in Teal as a loved product. 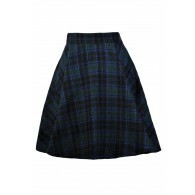 You have removed Quilted A-Line Skirt in Teal as a loved product.